experiments in sound and light. The bright red smokestack that rises some 140 feet above the Oregon Museum of Science and Industry's Turbine Hall is an icon in Portland, OR. 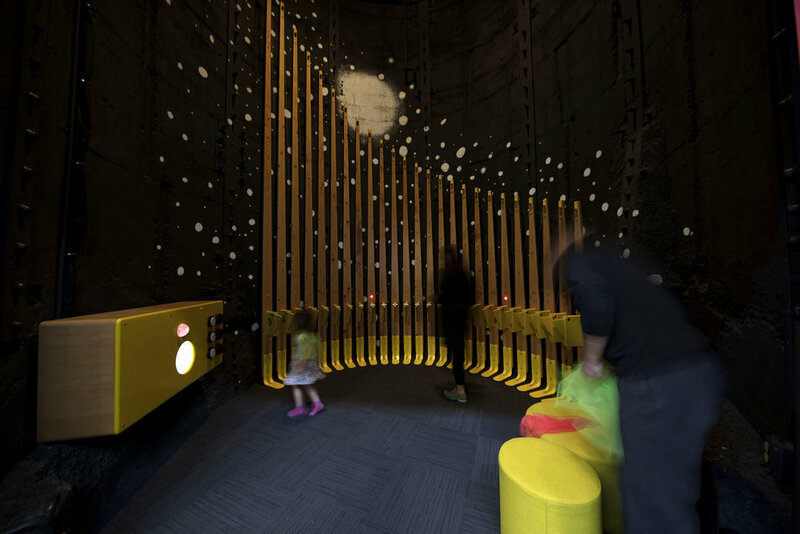 What better way to celebrate both the scale and height of this Stack than with a collaborate instrument for families and OMSI visitors to play. Introducing the Soundstack! 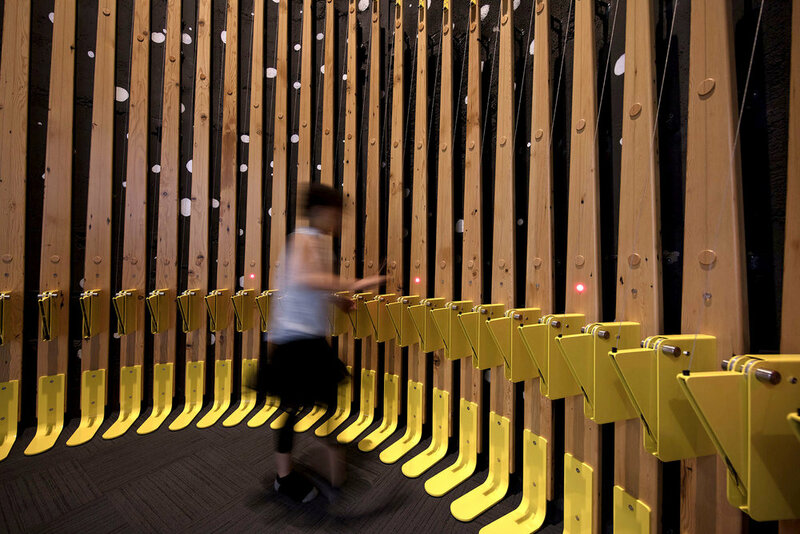 This custom interactive instrument rises 18 feet up into the stack. 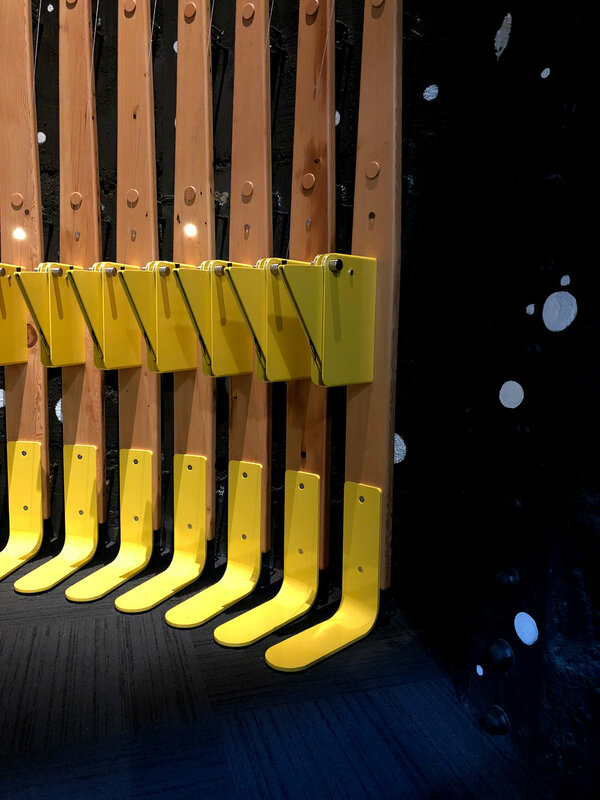 The Soundstack is made up of 25 stringed necks built from reclaimed doug fir. Each string is pulled into a specially designed bridge and amplified. The strings span two octaves of some of the lowest bass notes we could muster. Visitors play the strings with a simple strum and can collaborate across the wide span of the necks. 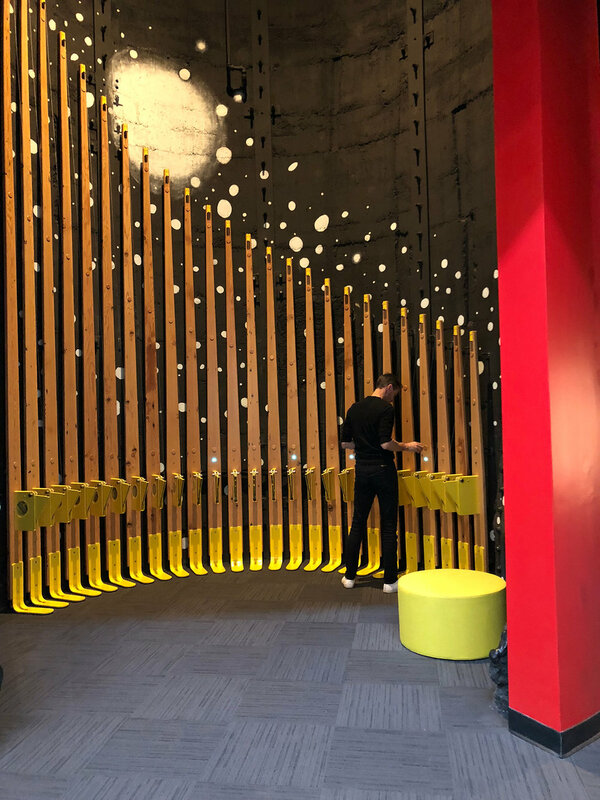 An interactive cabinet allows users to modulate the sounds with three effects and to shift the chord progressions that are active at any given time.